Kid Crazy: Why We Exaggerate the Joys of Parenthood? | Good News Everyday! Kid Crazy: Why We Exaggerate the Joys of Parenthood? All parents know that having kids is a blessing — except when it’s a nightmare of screaming fits, diapers, runny noses, wars over bedtimes and homework and clothes. To say nothing of bills too numerous to list. Some economists have argued that having kids is an economically silly investment; after all, it’s cheaper to hire end-of-life care than to raise a child. Now comes new research showing that having kids is not only financially foolish but that kids literally make parents delusional. Researchers have known for some time that parents with minors who live at home report feeling calm significantly less often than than people who don’t live with young children. Parents are also angrier and more depressed than nonparents — and each additional child makes them even angrier. Couples who choose not to have kids also have better, more satisfying marriage than couples who have kids. To be sure, all such evidence will never outweigh the desire to procreate, which is one of the most powerfully encoded urges built into our DNA. But a new paper shows that parents fool themselves into believing that having kids is more rewarding than it actually is. It turns out parents are in the grip of a giant illusion. Their hypothesis comes out of cognitive-dissonance theory, which suggests that people are highly motivated to justify, deny or rationalize to reduce the cognitive discomfort of holding conflicting ideas. Cognitive dissonance explains why our feelings can sometimes be paradoxically worse when something good happens or paradoxically better when something bad happens. For example, in one experiment conducted by a team led by psychologist Joel Cooper of Princeton, participants were asked to write heartless essays opposing funding for the disabled. When these participants were later told they were really compassionate — which should have made them feel better — they actually felt even worse because they had written the essays. Here’s how cognitive-dissonance theory works when applied to parenting: having kids is an economic and emotional drain. It should make those who have kids feel worse. Instead, parents glorify their lives. 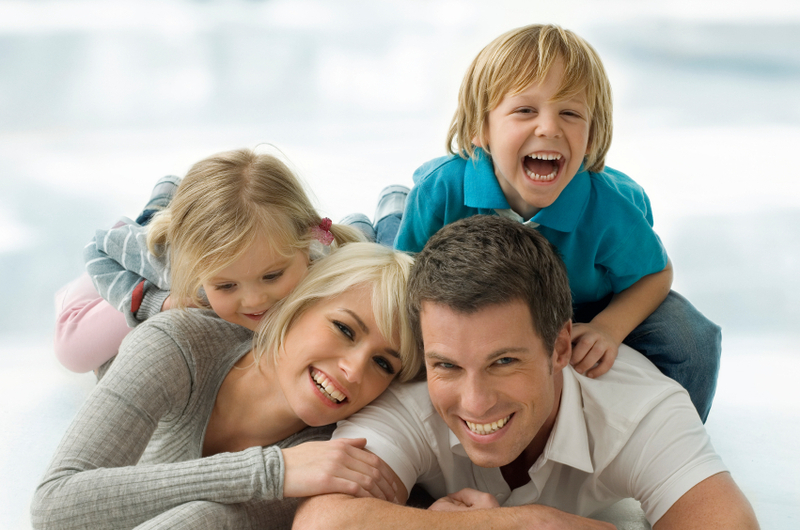 They believe that the financial and emotional benefits of having children are significantly higher than they really are. To test their hypothesis, Eibach and Mock recruited 80 parents at public locations in the northeastern U.S. Forty-seven of the parents were women, and all had at least one child under 18. Eibach and Mock then split the participants into two groups. Those in the first group were asked to read U.S. Department of Agriculture data from 2004 showing that it costs an average middle-income family in the Northeast $193,680 to raise a child to the age of 18. The second group was asked to read the same data, but participants in that group also received information that adult children provide financial and other support to aging parents so that parents are often more financially secure in their later years than nonparents. The results confirmed Eibach and Mock’s hypothesis. Parents who read only the data showing how expensive kids are should have responded more negatively to parenting. But in fact they idealized parenting far more than those who were also given the information about the benefits of parenting later on. Why? For the same reason you keep spending money to fix up an old car when it just doesn’t work — or keep investing in the same company when it’s failing. Humans throw good money after bad all the time. When we have invested a lot in a choice that turns out to be bad, we’re really inept at admitting that it didn’t make rational sense. Other research has shown that we romanticize our relationships with spouses and partners significantly more when we believe we have sacrificed for them. We like TVs that we’ve spent a lot to buy even though our satisfaction is no lower when we watch a cheaper television set. To confirm their results, Eibach and Mock conducted a second experiment, this time with 60 parents. The second study was identical to the first but added a control group that got no information about parenting at all. The second experiment also added measures of participants’ enjoyment of time spent with their kids and intentions to spend future time with them. And the subjects were asked to compare spending time with their children to spending time with their spouse or partner, spending time with their best friend, and spending time on a favorite hobby. Once again, those who read only about how expensive kids are idealized parenthood far more than those who read about both the costs and the benefits of raising children (and far more than the control group did). They were also significantly more likely to believe that spending time with kids is more rewarding than other activities, even though researchers have found that when you measure how rewarding parents found any given day spent with their children, they rated that day worse than they had expected to. Of course parents should be commended for one little thing they do: maintain the existence of humanity. I praise them for that, but I think they’re both heroes and suckers. 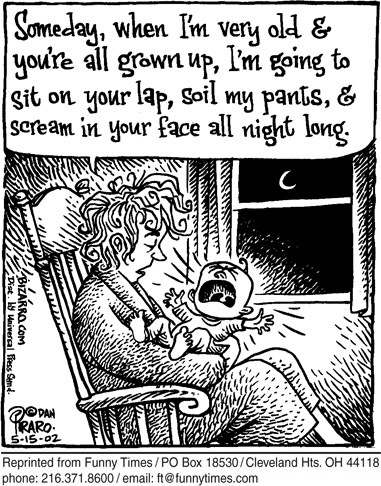 Exaggerate the joys of parenthood? Wait, what? I didn’t know that was possible. Sure, parenting is damn hard. It’s exaughsting, stressful, messy, complicated, and overwhelming. And expensive, let’s not forget expensive. There are days when I could turn my mom-card in by lunch. It’s one of the hardest jobs on earth, but the rewards are so very sweet. Watching your children grow is like watching a field of flowers bloom in the spring. When your baby first smiles at you your heart stops in amazement. When child tells you that they love you your heart melts. When they draw pictures for you in kindergarden you display them proudly on the fridge. You puff up like a rooster when visitors come over and proudly display your darling’s magnificent work…that random green squiggle is genius! They might some day rival the greatest artists ever! My children are both very young, but I imagine watching them grow through the rest of their lives will be just as rewarding as it is now. I bet when my baby is 25 and he tells me he loves me I’ll get that same rush of joy I do now. I bet when my girl gets married I’ll bawl like a baby because I know she’s no longer ‘mine’. Exaggerate the joys of parenthood… there’s just no such thing. The premise of the research is flawed. How does one determine what an appropriate “emotional reward” to parenting is? Also, the research supports their Hypothesis, it does not confirm/prove it – and even there I would say that the interpretation of the data is open to debate.